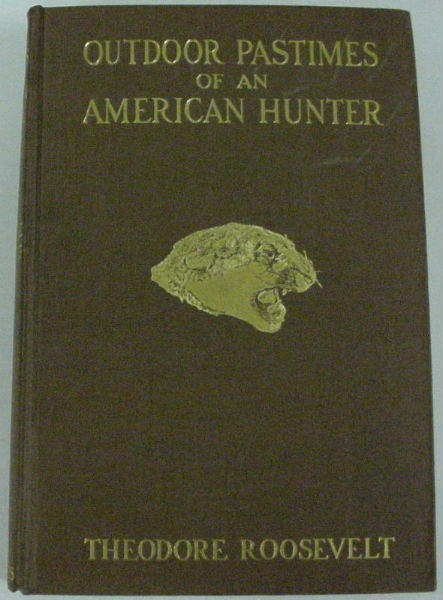 Roosevelt in his dedication to John Burroughs, the great nature writer, notes his respect for writers like Burroughs who has trained himself to keen observation, who describes accurately what is thus observed, and who, finally, possesses the additional gift of writing with charm and interest. TR might have been describing his own talents as a nature writer in this dedication. This book includes not only his commentary on wolf, mountain sheep and bear hunting, but also more domestic outdoor activities of him and his children at home, including taking care of a variety of pets (one rabbit was named after the Episcopal Bishop of Albany, "Bishop Doane") and riding horses and ponies. 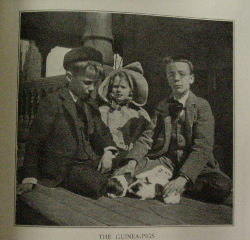 This photograph of the Roosevelt children with their pet guinea pigs is one of several illustrations from the book.